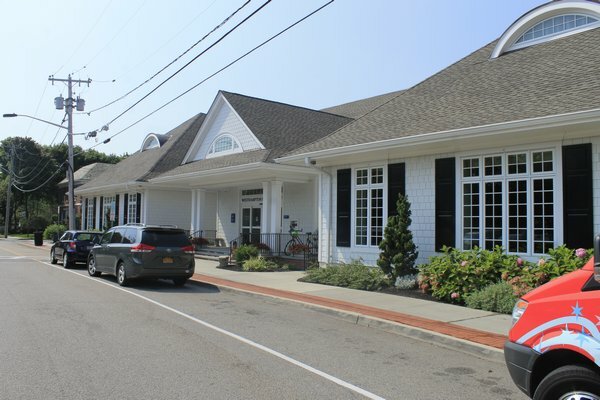 At the December 14 Westhampton Free Library Board of Trustees meeting, the six appointed trustees determined that none of the three library taxpayers who submitted trustee applications meets the esoteric needs of the board at this time. Imagine if a school, village or fire board decided that three eligible and willing taxpaying American citizens weren’t allowed to run for or hold office simply because they said so. If taxpayers didn’t like that ruling, there’s no means to vote anyone off the board. They can do whatever they want. There are no elections. Suffice it to say, many other association libraries (some for decades) allow their taxpayer voters to decide who they feel is qualified, whose platform and vision might represent what each of them wishes to see in their community library, which they financially support. Maybe it’s renovations (or not), or a certain type of relationship with the union, or a calendar of particular programs and speakers, or not building a new $1 million parking lot that isn’t needed 10 months of the year, etc. This clinging to absolute power begs the question: What is this board afraid of? What might they be hiding? Two of the three applicants publicly spoke about wanting an elected board. Each appointed board member is free to run for election. The elections can be phased in, one or two trustees per year, to allow for board continuity, as some of the 17 of 24 Long Island association libraries with elected boards have done. Until this library board is an elected entity and not a private closed club, we will vote no to annual library budget increases, and we encourage other Westhampton voters to do the same. Contract districts must vote yes to receive any library services. But the elected board issue is still pertinent, because the opinions and ideas of contract patrons may influence potential trustee candidates—which is what our democracy is based on: the free flow of ideas and representation with our taxation. As it is, over $4 million in cash sits in the library bank accounts (over and above the nearly $3 million annual operating budget), and only administration and management (non-union employees) received wage increases after this budget increase passed in May, which we feel is unacceptable. Plus, the employees should come before the building. Please get involved. Email us at strager@optonline.net. Visit www.wflelectedboard.org and our Residents for a Free Westhampton Free Library Facebook page. It’s not 1897 anymore—and appointed isn’t American. Ms. Trager is a former library administrative assistant at the Westhampton Free Library—Ed.